The holiday season is fast approaching. I usually start thinking about holiday gifts pretty early to avoid the stress. My ultimate stop for gifts for the holidays is the Holt Renfrew Centre, located in the Yorkville area of Toronto. Without fail, each time I stop by there, I always find something I adore. Regardless of whom you are shopping for, Holt Renfrew Centre has a variety of great retailers to choose from. 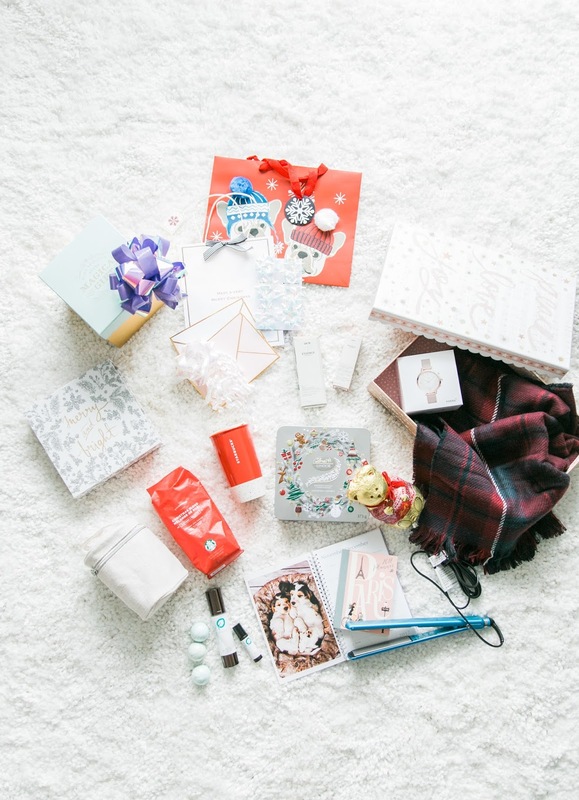 I’ve put together a mini gift guide to help you with your search for the perfect holiday gift for your girlfriends, mom, sister or whichever girl boss you are shopping for. Coffee related gifts may seem basic, but over the years I have found that people love practical gifts. And who doesn’t love coffee? 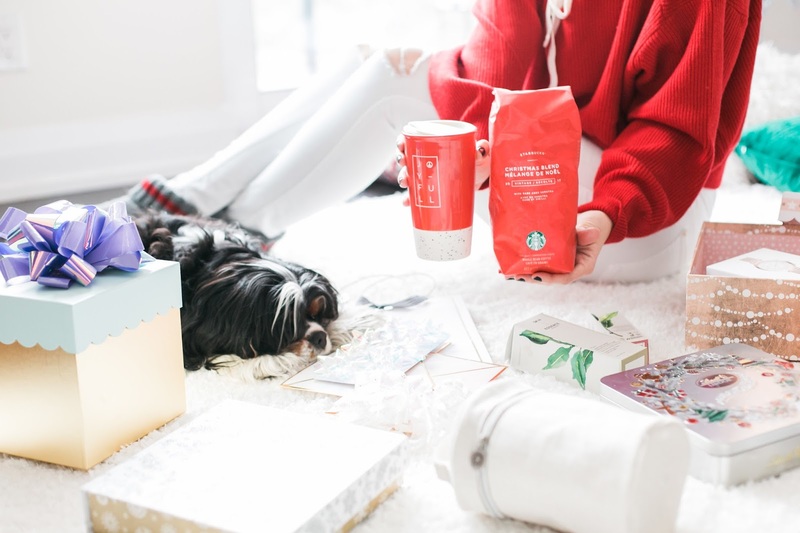 Grabbed a Christmas Blend coffee bean bag and a very festive red ceramic travel tumbler from Starbucks for my friend that loves coffee on the go. 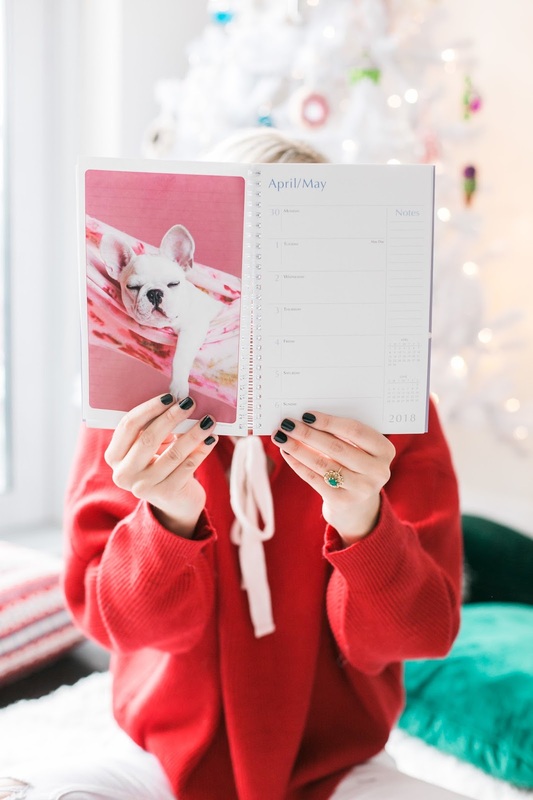 Calendar Club has the cutest planners that will definitely get your girlfriend making plans for the New Year. I picked up the Pooped Puppies planner for my cousin, and the 2018 Paris planner for my bestie because she loves anything that is Paris related. 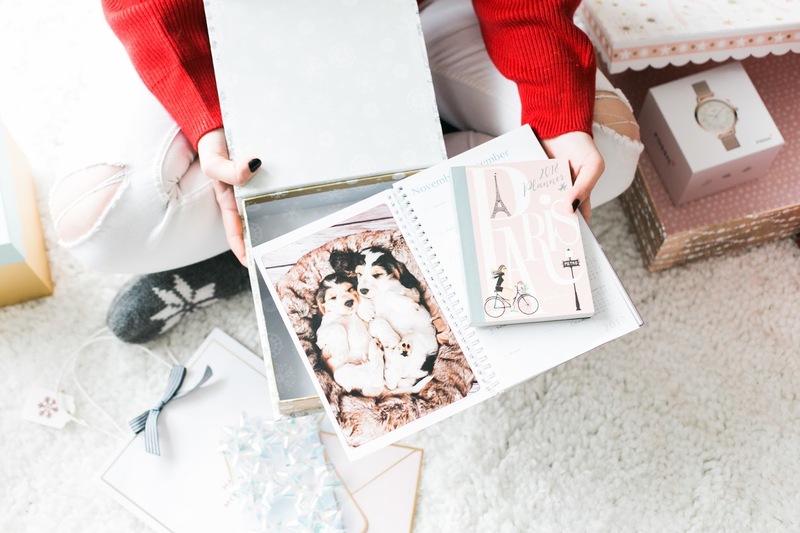 Planners also make the perfect stocking stuffer. The most gifted item during the holiday season is a box of chocolates. 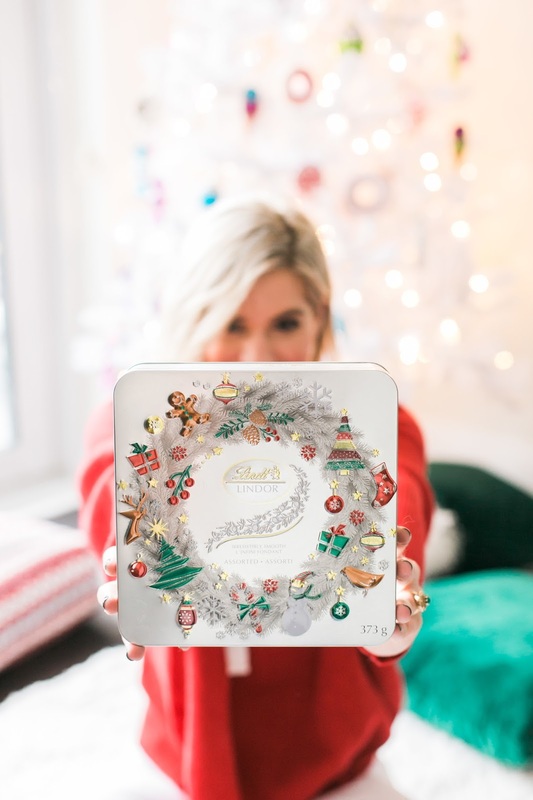 Lindt chocolate tastes so good and it is definitely a family favourite. I love giving it to my parents as a New Year’s gift. I also picked up the cutest chocolate Teddy Bear for my niece which she will love. For the friend that is a homebody and loves staying indoors during the cold months of winter, I suggest grabbing a pair of socks from Legs Beautiful. They have a great selection of socks for the holidays and other styles to be worn all year around. I am wearing the super cozy, Ralph Lauren indoor booties, also from Legs Beautiful. Another staple item to gift that can be worn both indoors and outdoors is this a burgundy plaid blanket scarf from M Boutique. Another great shop at the Holt Renfrew Centre I always find amazing gifts at is Ginkgo Health Shop. I picked up a bottle of Skin Essence Organics Pure Gentle Facial Cleanser and the Rosehip Seed Oil. 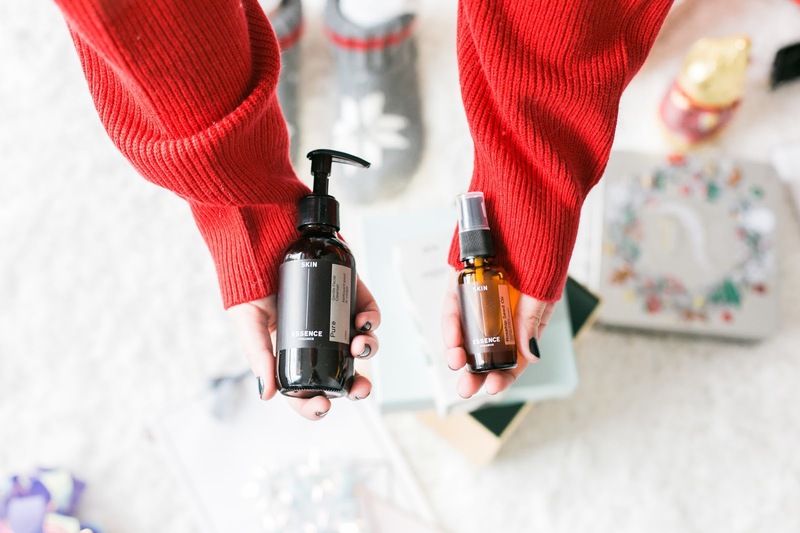 Both great products to gift to your bestie that has sensitive skin or if you are looking for products that have amazing nourishing properties and cleansing benefits that do not leave the skin dry and damaged. 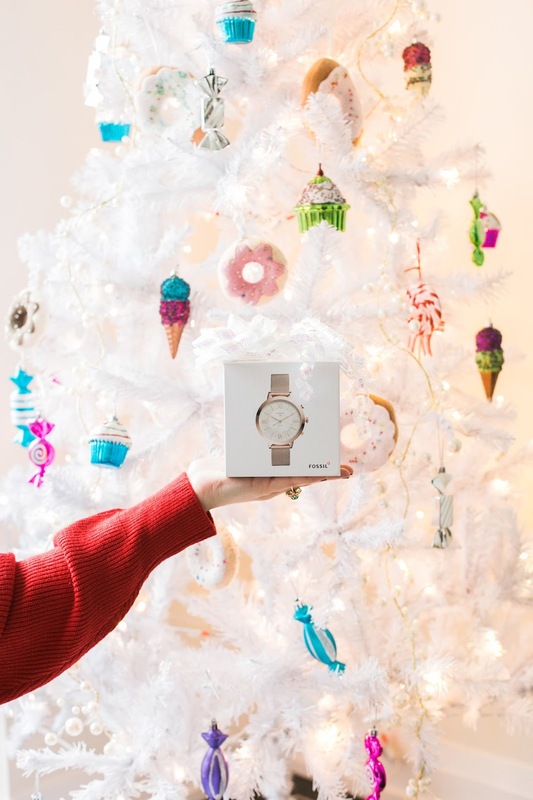 Watches are one of my favourite things to gift because they are so timeless. I picked up a beautiful rose gold watch from Fossil for my sister and I am also thinking of adding a sentimental value to it by having it engraved. from Escents Aromatherapy. The kit includes a stress relief inhaler, mini bath bombs, roll-on and body mist all at a very affordable prize. Right now, backpacks are the must have item for your bag collection. They are also super convenient for anyone that travels or blogs and has to carry their DSLR camera everywhere they go. This grey backpack from Zara is very roomy and the quality of the leather is very durable. While I was browsing I came across this beautiful Christmas red sweater from Zara and I could not pass it up. I am actually wearing the sweater backwards because I always wear my hair down so this is a great way to showcase the bow. Plus, the sweater looks amazing backwards. I also picked up a BaByliss PRO Nano Titanium Flat Iron 1-1/2” from Trade Secrets because it is really hard to not treat yourself when you are shopping at the Holt Renfrew Centre (my hair has been styled with the flat iron as seen in pictures). Those are my favourite items I picked up from the Holt Renfrew Centre while shopping for my holiday gifts for all the ladies in my life. Make sure to stop by the Centre for more amazing deals and finds during the holiday season not just for women, but also for men as well. *All items can be purchased at Holt Renfrew Centre at the stores mentioned in my post above. Thank you to Holt Renfrew Centre for sponsoring this post. All opinions expressed and choices mentioned in this post are my own. 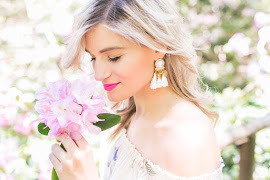 The photos are all looking so amazing, and your tips are gold! Thanks! Thank you so much! Holt Renfrew Centre is a great place to shop!